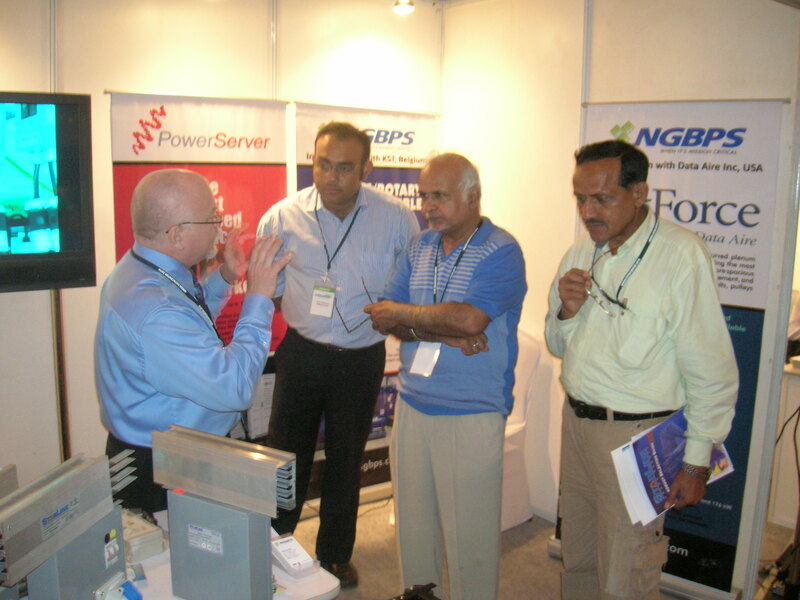 NGBPS – Data Center Solutions That Stood Out From The Crowd! At 8:00 am , Wednesday 18th August 2010, the Green Data Center Conference kicked off with the networking breakfast and registration formalities followed by the inaugural ceremony and welcome address. 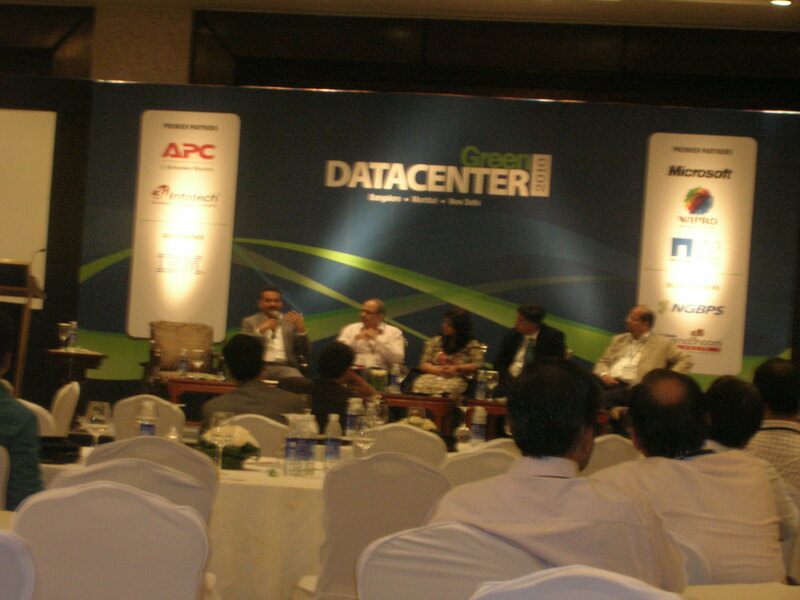 The event was graced by the who’s who of the IT and Data Center Industry from Delhi and the National Capital Region. Among all the hustle bustle of CIOs, CTOs and Managers walking in for the Conference, one booth that caught the attention of every attendee was the NGBPS LIMITED booth. NGBPS promises to be a single window solution for Mission Critical Infrastructure Products and Solutions enabling business continuity, with the ability to integrate and deliver global solutions while focusing on reducing its customer’s carbon foot print and delivering the highest value. 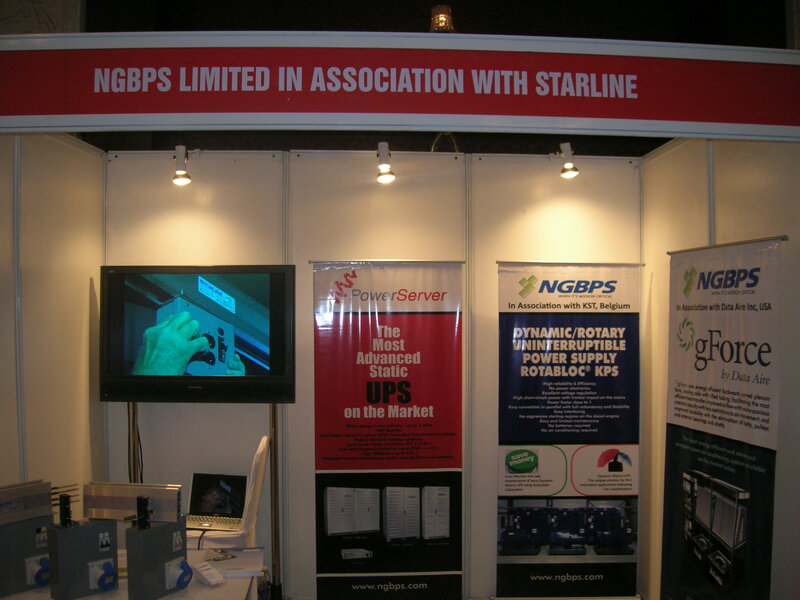 NGBPS launched the Starline Track Busway from Universal Electric Corporation at this event. The team from NGBPS was also accompanied at the booth by Mr. Edward Hahn the Asia Pacific Head of Universal Electric Corporation based out of Singapore. The Solution offered by NGBPS in association with Universal Electric was the most eye catching and innovative solution to be launched in the Green Data Center Conference so far. The Solution is a revolutionary electrical power distribution system for the mission critical, retail, and industrial markets – or for any facility where power is needed. It is a simple, versatile, fast and economical solution for supplying power to electrical loads and is unique because the Busway can be tapped instantly at any location – without losing any uptime! Improves reliability as electrical connections are made mechanically, reducing the risk of a wiring faults or loose connections / air gaps. Apart from the Star of the day being the Starline Track Busway, NGBPS didn’t cease to surprise its visitors as they also unveiled the Rotabloc® KPS, Dynamic Rotary UPS from KST, Belgium. Dynamic UPS systems have been around in Europe and America for a while and with more and more Mega VA Data Centers coming up, installations in Asia, particularly in Singapore and China, are now common and users appreciate the beauty of the Dynamic systems. A truly Green Solution the systems offer a typical efficiency of 95-96% even at 50% load levels and an input power factor close to 1. Eliminating the need for batteries and air conditioning for ambient operating temperature and with life spans of over 20 years, these systems payback for themselves in less than 5 years while living up to the promise of a Greener tomorrow. The Theme of the Conference being GREEN, NGBPS stood out as the truly Green Company true to its Mission, where we envision a Green & Clean World enabling our future generations to enjoy and cherish Nature. The precision Air Conditioners offered by NGBPS LIMITED are also the most advanced systems available in the market today. Coming from Data Aire Inc, USA, The gForce systems use backward curved plenum fans, also referred to as plug fans. These fans have an EC motor and fan combined into one unit, eliminating belts, pulleys and external bearings and shafts, all of which require periodic maintenance. To increase the efficiency of the unit, Data Aire has added rifled tubing in the cooling coils to ensure the most complete and efficient heat transfer. These units are available in R-410A or R-407C to be environmentally responsible. Apart from these solutions, NGBPS also introduced its visitors to a clutch of Thermal Load Optimisation Products such as the Air Boost Fan Assisted Floor tile for addressing hot spots, etc. Another very interesting solution was the KoldAisle Containment Solution from NGBPS which employs fuse links that fall apart on reaching a particular temperature, thus not interfering with the fire suppression systems. Other solutions included the Energy star rated KoldLok Floor Grommets and Plenaform and Plenafill. Living up to the theme of the Conference and committed to its Mission, NGBPS leads the way.